Visit us at the “Free Your Hair” pop up in front of Fahrenheit KL, Jalan Bukit Bintang. We will be here from 1st to 31st March 2019! Come and get a complimentary diagnosis for your scalp and hair type so that you know the right haircare to use. That’s not all. We are also giving out free samples that is customised according to your scalp and hair type after the diagnosis. 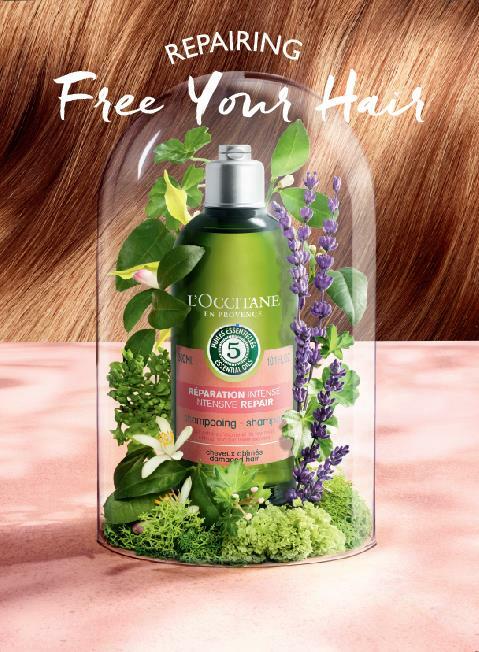 Show your hair some love and come experience L’Occitane Aromachologie hair care range this March 2019. Register online today to skip the queue!